If you recognize the above lines, you are already in a trance of childhood nostalgia. And who doesn’t recognize The Jungle Book! All of us have grown up with the Mowgli who befriended a black panther, a bear and recited Law of the jungle with his wolf pack. As unreal as the story is, Rudyard Kipling successfully tied the threads of his imaginary world with that of our own. Now, what if I tell you that the jungle from The Jungle Book truly exists? Guess what, it actually does. 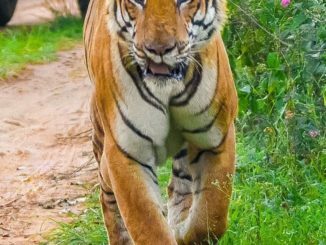 The people who have studied this text under the magnifying glass of their expertise believe that the story is knit in and around the Kanha jungle trail. Kanha with its green landscape, exquisite flowers, sal forests and untamed nature has inspired a globally revered author. Given the unmatched beauty of the place, that isn’t hard to believe, is it? 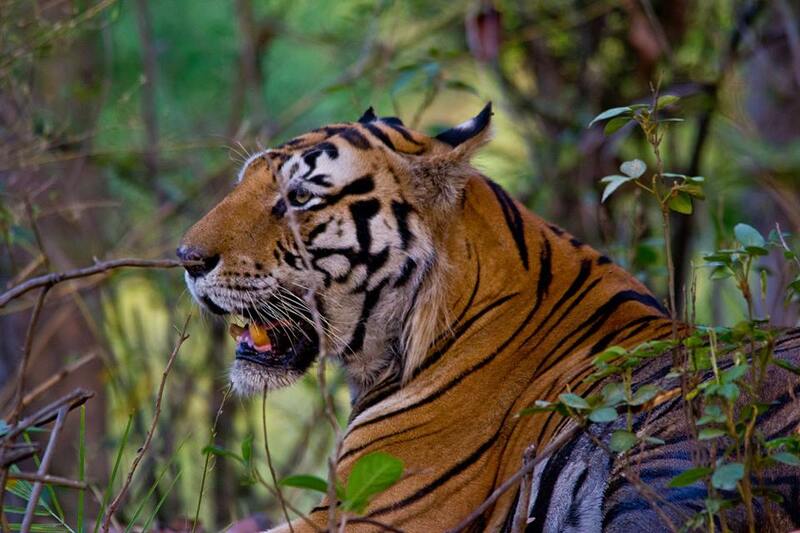 Kanha Tiger Reserve, also known as Kanha National Park, lies in the heart of India – the state of Madhya Pradesh. 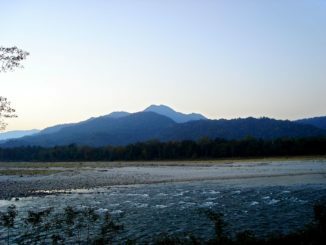 It is the beauty of the Maikal range. Stretching over an area of 940 sq. KMs it covers the districts of Mandla and Balaghat. 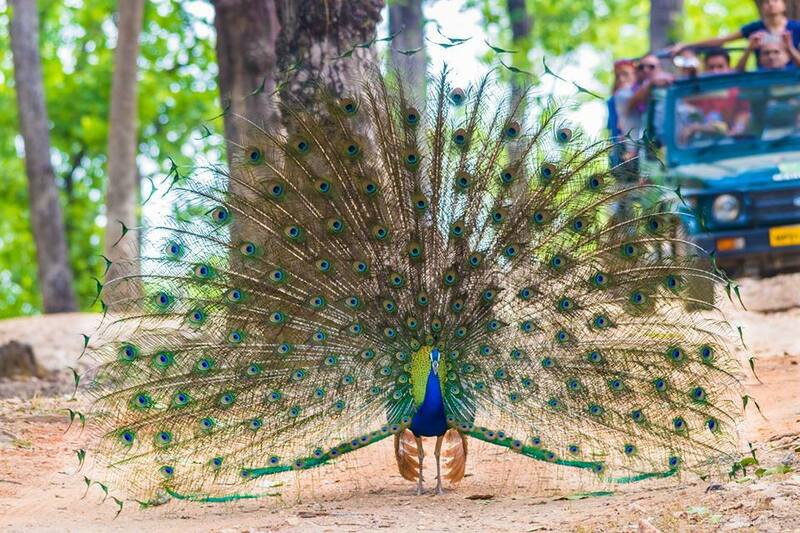 It is the largest national park of central India and a very popular tourist destination. 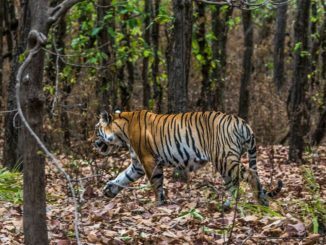 Even though Kanha has a tropical climate, the mercury in summers goes as high as 430 C. On the other hand, winter temperatures may drop as low as -20 C. This brings out a lot of shivering and teeth chatter. In spite of these extreme weather conditions, Kanha is covered in thick lush greenery and makes for a picturesque landscape. This is because of its geographical location at the heart of India, which receives heavy downpour in monsoons. The average rainfall here is around 1800 mm. The present day Kanha used to be the Gondawana, meaning ‘the land of the Gonds’ back in history. Two major tribal communities the Gonds and the Baigas inhabited the place. They still dwell in the area though limited to the outskirts now. Two distinct sanctuaries, Hallon and Banjar, came up later, covering an area of 250 sq. KMs and 300 sq. KMs respectively. The year 1862 saw the introduction of forest management rules that prohibited several illegal activities in the jungle. The area was declared a reserve forest by 1879. The ‘Jungle Book’ was introduced around the same time. 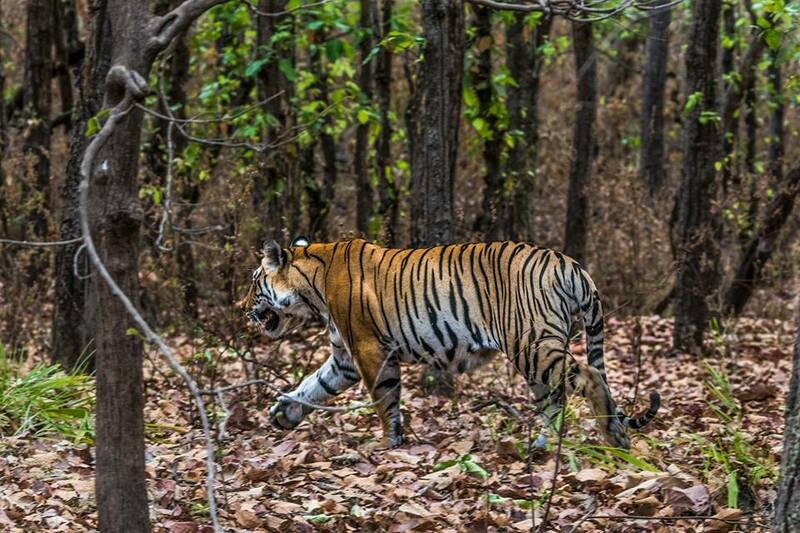 It brought much adulation and recognition to the landscape of Kanha and adjoining Pench. 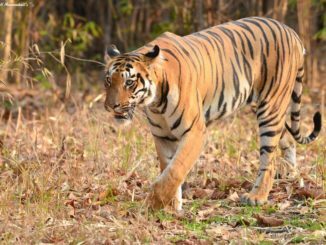 It was in 1955 that both of them were combined to be identified as the Kanha National Park. 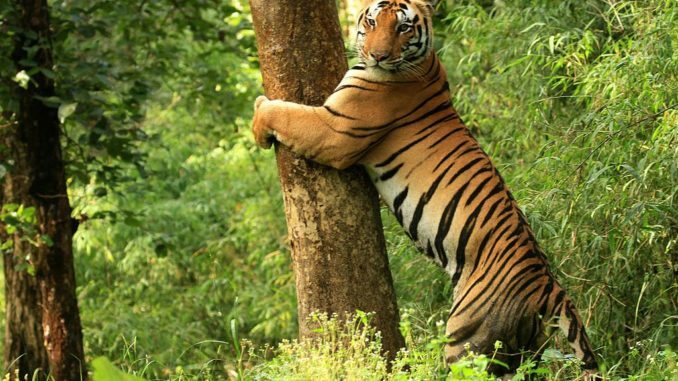 A little short of two decades later, the park was declared a Tiger Reserve. With this declaration, the neighboring Phen Sanctuary was also amalgamated to the reserve. 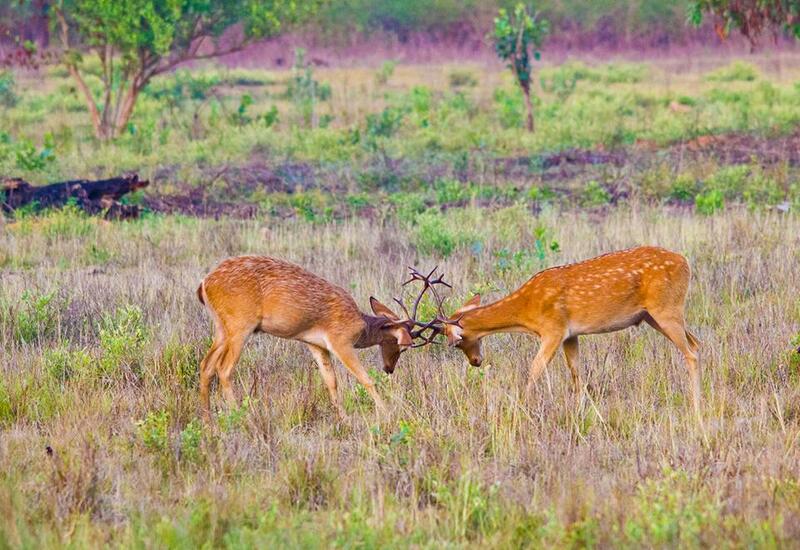 Kanha has been deemed the most tourism friendly national park in India twice by Dept. of Tourism. The celebratory years were 1991 and 2001. Prior to this declaration, a herculean task was to reduce human dependency on the concerned forest area. This is important so as to minimize loss of life and property owing to human-wildlife conflict. 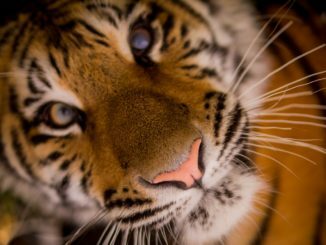 It also serves to prevent the retaliatory killing of wildlife species, tigers in this case. 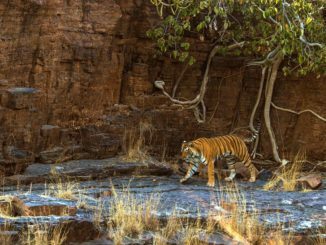 A total of 28 villages had to be relocated out of the national park before it could be made a critical tiger habitat. The last of the villages to be relocated were those that lied in the core zone. This area had been ancestral home to tribals for centuries. So, the resistance to relocating was obvious. The reserve was finally established in 1973 through joint efforts of the govt. and WWF-India. Today, it has a core area of 940 sq. KMs and surrounding buffer zone of 1,067 sq. KMs. The arena is enriched with bamboo – sal forests. Meandering streams punctuate the vegetative landscape and draw gatherings of thirsty animals. 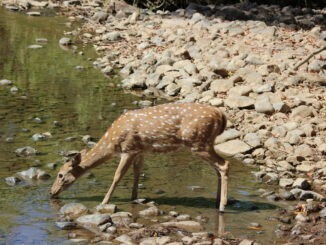 If there is one undebatable truth about Kanha that is the abundant diversity of wildlife present here. Incredibly large number of herbivores and carnivores dwell here in perfect tandem with the laws of nature. 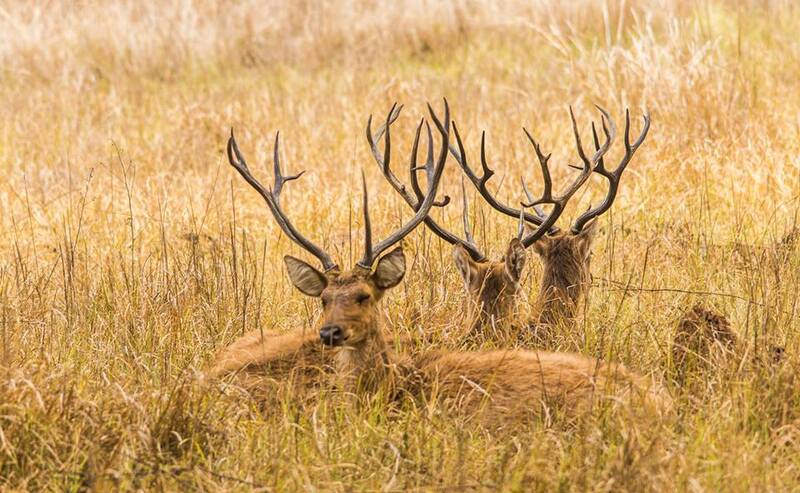 The now rare Barasingha is present here in large numbers and is known as the ‘jewel of Kanha’. 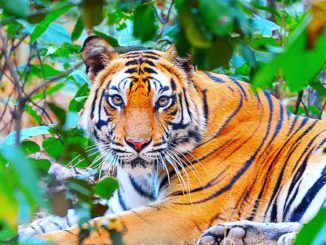 Mammals: Royal Bengal Tigers, Leopards, Chital, Black Duck, Barking Deer, Wild Pig, Sloth Bear, Blackbuck, Indian Wolf and many others. Reptiles: Russel’s Viper, Python, Indian Cobra, Common Rat Snake, Indian Garden Lizard are popular here. Avifauna: Around 300 bird species are spotted in the reserve at different times of the year. They include Hornbill, Red Jungle Fowl, Wood Shrikes, Serpent Eagle, Indian Roller etc. Flora: Kanha is inhabited by three different kinds of forest vegetation. They are Moist Peninsular Sal Forests, Southern Tropical Moist Mixed Deciduous Forest and Southern Tropical Dry Deciduous Mixed Forests. They are interspersed with over 200 species of flowering plants and several other varieties of climbers, forbs and grass. 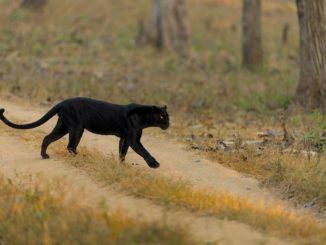 The total vegetation cover of Kanha makes it a suitable habitat for its wildlife and adds to the aesthetic appeal of the place. 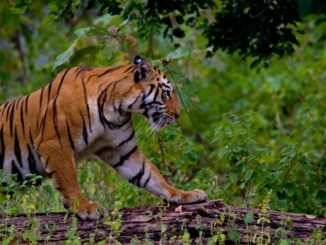 The best way of exploring the thick and lush green forests of Kanha is to embark on a jungle safari. 04 WD Open Jeep Safari is the most suitable option to live the wilderness of Kanha from close quarters. The 04*04 Open Jeep is allowed inside the reserve at fixed timings. 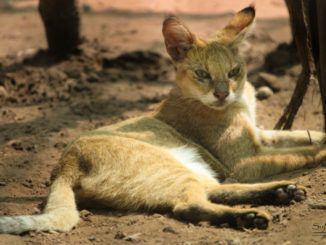 The tourists are required to in company of an experienced naturalist. A total of 125 jeeps are permitted to enter the forest in morning and afternoon each. 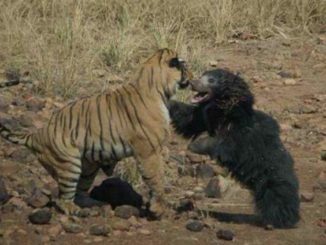 The reserve is divided into four zones for safari: Kisli, Kanha, Mukki, Sarhi. Kanha zone allows entry of maximum jeeps i.e. 40 at a time. You can book your open jeep safari entrance tickets through online booking system or through the booking window outside the entry gate of the reserve. Four individuals accompanied by an experienced naturalist and a driver are allowed in a jeep. Vehicle charges and guide fees are additional services and have to be paid for separately. The entrance to the reserve is allowed from all three gates: Kisli, Mukki and Serai. The Kisli gate lies inside the buffer area and is most easily accessed from Jabalpur. Serai gate has been opened recently. Entry into the park is allowed during specific hours of morning and afternoon. You can visit the park 6.30-11.00 AM in morning. 3.00-6.00 PM are the afternoon visiting hours. Afternoon shift of Kanha Jeep Safari remains closed on every Wednesday. Both morning and afternoon Safari shift is closed on the festival of Holi. For entry permits, you are required to provide: full name of the visitor, age and gender, nationality, ID proof details such as passport, driving license, voter ID card etc. Visitors are required to carry the ID proof in original during their reserve visit. 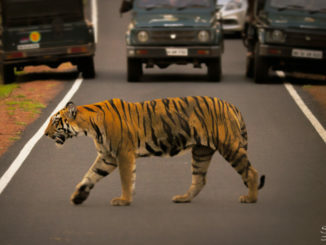 Kanha Tiger Reserve is well connected through road, rail and air transport. Jabalpur airport stands at 175 KMs and is about four hours drive from Kanha. Jabalpur is also the nearest railhead. 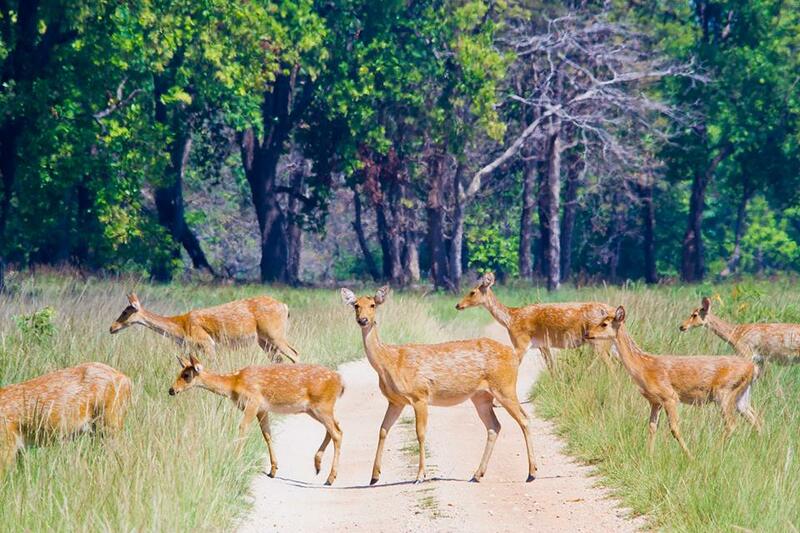 From here, you can take a taxi service through Nainpur or Mandla to reach Kanha. This single journey has all the components required to become your favourite memory. Revealing any more will spoil the anticipation. We encourage and recommend that you go out there and explore yourself. Thank us later!